Mozilla mobile developer Matt Brubeck recently penned a blog post set to explain the reasoning behind Firefox for Android, and why he believes it is a worthwhile addition to both Android and Mozilla families. Brubeck proposes Firefox Sync as the most attractive feature of Firefox for Android, or at least the most apparent benefit. Sync grants you access to your desktop Firefox's history, passwords and bookmarks, as well as recently open tabs. This allows for a more continuous web experience, saving you time and frustration that can be caused by the typical chasm between your mobile and desktop browsers. This feature provides a real "wow" factor to Firefox; it's quite impressive the first time you close your laptop then continue reading the same sites on your phone. The second major attraction is the real reason for the Firefox family's popularity and continued relevance: Add-Ons. The extensibility of Firefox for Android provides a powerful browsing experience, giving you the ability to customize the browser to your liking. 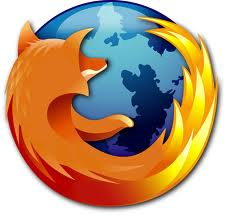 Unlike Android's standard Browser app, as well as xScope, Dolphin HD and various others, Firefox does not use the WebKit rendering engine. The WebKit project is very popular, robust, and standards-compliant, but Brubeck cautions that WebKit is almost becoming a standard of its own. Ever tried visiting a site like http://i.reddit.com on a non-WebKit browser such as Opera Mini? The page uses WebKit-specific language (aimed mainly towards the iPhone) and does not render or function properly. In this way WebKit is suffocating the competition, reducing the incentive for diversity and innovation in the web browser arena. Firefox for Android uses the desktop version's Gecko rendering engine which allows for further capabilities and provides choice in the mobile space. Brubeck also touches on performance improvements in upcoming versions of Firefox for Android, as well as an upcoming solution to the memory-space issue that plagues the current versions. If you're interested in open-source, developing for Android, or even just choice and variety in your apps, the full blog post is well worth a read.